Filling in the hole became every city’s mission. Pretty much any city or metro region of any size has pumped literally billions of dollars into its downtown in an attempt to revitalize them. This took many forms ranging from stadiums to convention centers to hotels to parking garages to streetcars to museums and more. It’s popular today to subsidize mixed use development with a heavy residential component. These efforts have paid off to a certain degree. Most big city downtowns have done very well as entertainment and visitor districts, eds and meds centers, etc. More recently we’ve seen an influx of residents, even in places where the overall city or even region has struggled or declined. Cleveland added about 4,000 net new downtown residents in the 2000s. St. Louis added 3,000. With most cities in some stage of an apartment building spree consisting of a few thousand units, these numbers should only improve. Key weaknesses remain in private sector employment (declining in most places) and retail (not enough high income residents yet). And other than the tier one types of cities like Chicago, few places seem to have reached a sustainable market rate development level yet – pretty much everything is getting public assistance. Yet its pretty evident that most larger downtowns have made huge strides and are experiencing overall reasonable health. In this model, the old donut is inverted. What used to be the ring of health – the outer areas of the city and the inner suburban regions – are now struggling. Whereas the downtown is in pretty good shape, and the newer suburban areas are booming. (You might add in a fourth outer ring with troubles – these were the exurbs where very low-end housing proliferated because development standards were very low). You see this in the population figures. Wendell Cox cranked the numbers and found that major metro areas gained 206,000 residents in the two mile radius from the center, but lost 272,000 residents from the 2-5 mile ring. Growth picked up strongly beyond that arc. This is the new donut area, though the start and end of it vary by metro and some have thicker rings of challenge than others. We’ve got three decades of experience in downtown revitalization, but much less in dealing with this newer challenge zone. 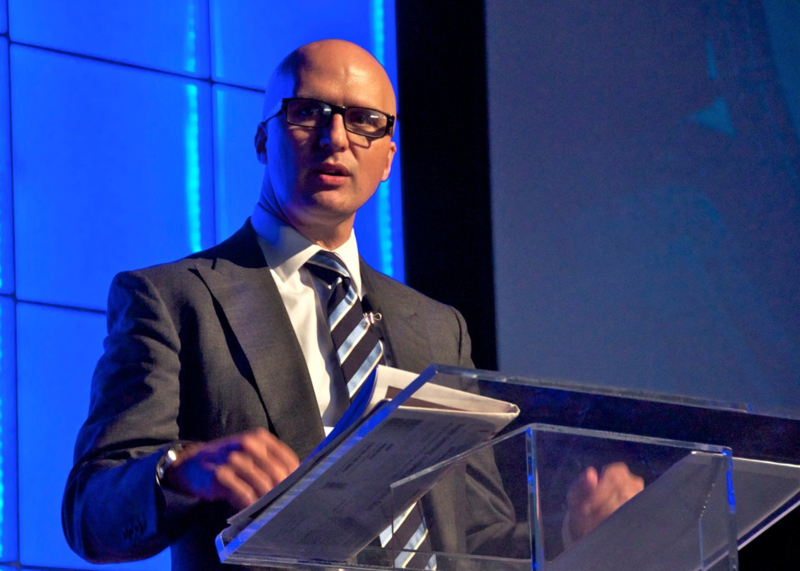 I’ve said that suburban revitalization may prove to be the big 21st century “urban” challenge. This is where it is happening in many cases. These areas have an inferior housing stock (often small post-war worker cottages or ranches), sometimes poor basic infrastructure, and are sometimes independent municipalities that, like Ferguson, MO, are often overlooked unless something really bad happens. Unlike the major downtown, they are often “out of sight, out of mind” for most regional movers and shakers. What’s more, while downtown provides a concentrated location for massive public investment, this more spread out area is too big to fix by throwing money at it. And how many stadiums and convention centers does a region need in any event? This is where we need to be doing a lot of thinking about how to bring these places back, look at what’s being done, etc. And also, given the inequality in the country, to try to think about ideas that don’t involve gentrification. One project that appears to be in this kind of zone, for example, is Atlanta’s Beltline project, though there’s a gentrifying aspect to this one. Regions that figure this one out will be at a big advantage going forward. I support choice, but for a real estate impact, any household looking to locate somewhere would have to know that their child would definitely get into a desirable school at little or no extra cost, and also preferable a not-to-distant commute to the campus – comparable to the situation under the current zoned system. Just offering a choice of schools that a child has to either pay, wait list, or test into isn’t good enough. There actually is a recent study on how school choice may affect housing prices in NYC. It seems complicated and I haven’t digested it yet. The city stopping zoned schools in the last 10 years and the study period ends in 2003. Choice in one form or another is probably more common in NYC than any other large city. My guess is this partly explains the huge price advantage in neighborhoods with good transit where a transit card creates many options. @SRSTX, Plano schools are reasonably mixed across the school district, although not perfectly evenly so (is anywhere?). There are only 3 Senior High School zones, each with ~1500 students per class year, which prevents too much segregation at that level. The DFW area is not immune to inner-ring issues, but is helped by long-tern population growth which has prevented any area from really shrinking or being abandoned. And a “let’s get the dirt flying” attitude towards development has kept the cost of living low (not to mention the lack of terrain limits). That said, some of the inner ring suburbs are doing notably better than others and the school districts are both a cause and reflection of that. It probably goes without saying that Plano is overwhelmingly suburban in form, although there are a few self-consciously “new urbanist”-style neighborhoods that are doing well. Even in this patch of unrepentant suburbia, there is some interest in walkable, restaurant/entertainment-oriented development; even those who don’t live in them like having them nearby. NYC schools are now often the country’s most segregated. The upside however is that the neighborhoods are often less divided by class. Choice options seem to create self segregation. My guess is a lot of options allow neighborhoods to survive bad schools and gradually adjust. I worked in Arlington, Texas, half way between Dallas and Fort Worth, trying to rescue a partnership between the city, the chamber, the schools, the community college and UT Artlington. All of the pieces seemed to be in place for turning around what has become a lower middle class place aspiring to lift itself up by its bootstraps, including good top management at most of those entities. One central entity lacked this management, however, and it kept the other institutions from coming together effectively. Removing and replacing that management would have required elevating the public importance of the project to the extent that it could swing elections. Maybe that’s the real point here: if you want to make important change, that change has to be the top public priority. Why don’t we have the same problem with supermarkets and dry cleaners? Why should an entire community be hostage to the quality of a monopoply school system? Create a place with walkability and basic transit and let the people choose their favorite product. I think capitalism works well for building a tiered offering of say – automobiles. To suggest the same forces can build a tiered educational system is open for debate. There are several Charter school offerings in Cleveland, mainly in and around downtown (Tremont/Ohio City) and Univ. Circle. There is much debate on how much public funding these Charter schools should get and how much they dilute the student base of the public system. Are we segregating along class lines now? Are we pushing the lower class even lower as we weaken their options? It can be argued that this has a negative impact on the neighborhoods further from downtown as families have less options and the public school system now has to compete with the Charter schools for adequate funding. Capitalism uses Adam Smith’s invisible hand to kill inferior products in the marketplace – and thereby giving us better automobiles, toasters, and the like. But as it plays out in our cities, the invisible hand is slapping entire communities, families, and particularly the more vulnerable. East Cleveland did not get where it is due to bad management or inferior product. It got where it’s at because people had choice on where they lived and the federal government greased the wheels by making it easy to have choice. This is going back 70 years or more – one can easily argue that East Cleveland has inferior product or bad management today. So let’s at least keep the market fair and keep the government out. No more funding of highways to the exurbs, no more free water and sewer line extensions, etc. As for how we move forward with the inner city school system – I don’t have the answer. Maybe Charter schools are the answer but it’s going to be long wait and a rough road. Poor people have to live somewhere. They can’t afford the property values and transportation costs of the suburbs (or $2,000/year for a kid to be in marching band), and skyrocketing rents have driven many of them away from their old haunts in now-trendy downtown areas. 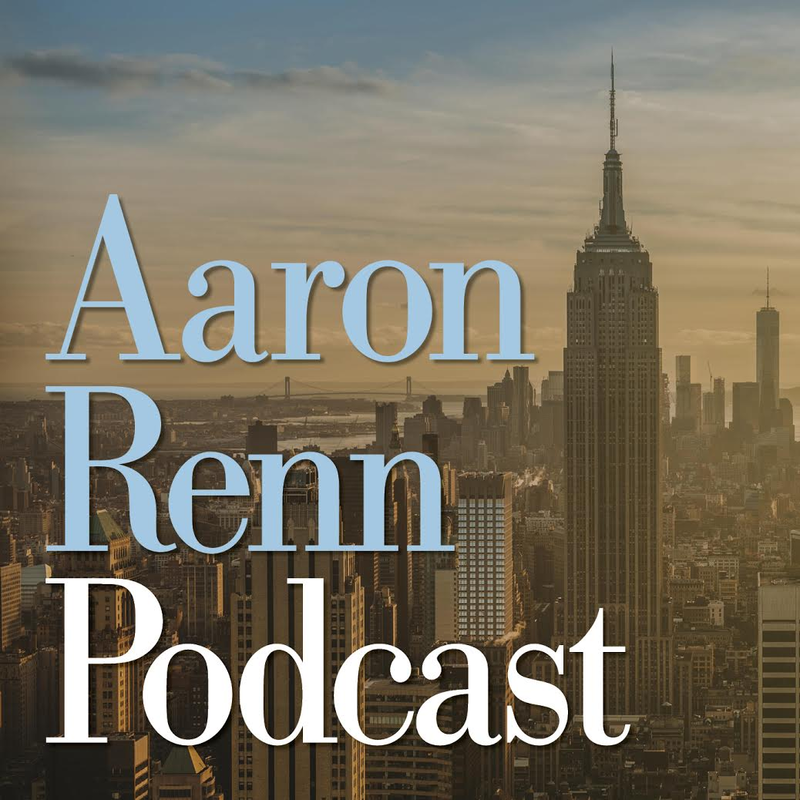 Americans prefer to pretend that we live in a classless society, but gross income inequality, while uncomfortable to discuss, is at the root of many of these symptoms, and it spawns all sorts of other issues, some of which extend across generations. Derek – That’s good to see, I wouldn’t expect any school to be a perfect statistical reflection of the overall district. In my observation, more affluent, educated parents seem to have a ceiling for “reduced/free lunch” somewhere between 20-30% of the student body – above that ceiling, they look for other schools even if it means a longer commute. In Houston at least, this is a very very important phenomenon driving the problem that is the subject of Aaron’s post. What I wonder is, if you’re a parent who actively leads your children to achieve academically and behave themselves, is it that risky for your child to attend school with working class kids? I understand not wanting to send your kid to a school with metal detectors etc. in a drug war zone, but most educated parents aren’t even willing to buy a home and send their kid to one that has a large share of blue collar / service worker household children. As long as some AP classes etc. are there, why would you be afraid? This fear gets to the core of the issue – and all of the follow-on real estate impacts afflicting these declining suburbs. The government “greases the wheels” through loans and subsidies in a mixed or Fascist economy, not a Capitalist one. Yes, the neighborhoods near University Circle have had to progress against the headwinds of government policy which has offered loads of “free parking” and undermined property rights through eminent domain seizures. Even now, they plan to create (destroy) another opportunity corridor for suburban commuters at the expense of poor residents. In spite of this, some of these areas seem to be attracting investment again. No surprise that educational choice is developing in the denser, more urban parts of town. I think this problem of demographics driving parents away from schools has been over-simplified. Most parents don’t check the school lunch numbers, nor do most check the racial percentages. They know places by reputations. And the bottom line is whether the school districts themselves perform. I don’t think the elite Bronx Science high school is in a great area. NYC has broken the strong link between real estate and schools. You usually have to have a decent local elementary school, but beyond that school choice tends to play a big role in the parts of town with good transit. Yes, if you have more than one great elementary school and a great Junior high like Forest Hills, housing prices will be very high. But, NYC has a lot of areas like Park Slope that started with pretty questionable middle schools and improved over time. The difference is probably the wider amount of private and magnet choices available. Houston ISD was a pioneer in the development of magnet schools and has some of the best in the nation. Yet because your child is still not a guarantee to get in at one of those – they have wait lists and entry testing – it doesn’t mean as much as being zoned to a positively perceived school. This is still a huge difference. In NYC, are you guaranteed to get your child into a good magnet (provided the child doesn’t have disciplinary issues)? Then I can understand how the real estate link would be broken. Rod pointed out that demographics explain up to 85% of school achievement, and I have heard from school administrative professionals that test scores are extremely correlated with household income. Parents seem to know this – and thus equate school reputation and quality largely with the demographics of the students. Still, the question is, why do they think their child will receive a worse education at a school zoned to cheaper housing? If you think about it, it’s really astounding how much cost – in terms of both housing prices and commute – they are willing to burden themselves with in order to skip over the inner and middle suburbs so that they can put their kid into a school with the right demographics. If you’re an effective parent, is there really that much of a difference for you to make such a drastic real estate decision? And I should point out, in these inner and middle suburbs, housing – including new housing – is usually much cheaper than what you get in the desirable outer suburbs – a huge departure from the usual cone-shaped urban economic model (locations closer to the center are more expensive). Part of this is the average age of such housing, which is older with housing stock less adapted to current tastes, but if these areas were in demand, that stock would be updated or redeveloped. No, to a large extent people are gambling that their kids can get in. But, a dense neighborhood on a good transit grid like the Upper West Side might offer, 8 reasonable public and private options within a 40 minute subway ride. Clearly, NYC and Houston are at opposite ends of the spectrum. Money plays a big role in many neighborhoods. My guess is people are deluding themselves about these suburban schools. If your kid isn’t doing well they will likely be tracked into the dumpster classes and you will likely have very few alternatives. If the school goes down, there goes the house investment. The interesting question to me is what will happen next with young people returning to the center city: will they stay there as they begin having children and those children enter the middle school grades, where they will be mixed in with children outside their immediate and gentrifying neighborhoods, or will they move to the suburban neighborhoods with better schools? Of all government agencies, school districts seem to the most resistant to change, and, short of large groups of parents pressuring inner city school districts to vastly increase the number of their magnet schools, or create a wholesale overhaul of their middle schools, large numbers of young, largely Asian and white parents employed in the tech professions are about to run into the politics of inner city school districts, where many of the other parents (and childless homeowners) have a professional background and education very different from their own. P.S. Sorry about that run on sentence. There were two thoughts there: the resistance of school districts to change, and the very different backgrounds of the newcomers and existing city residents. Many NYC kids are already educated by what I would call an a-la-carte model where a parent selects local tutors, dance classes and specialty classes. This model will become more common. The problem is that it only really works well in places where the density allows many choices to develop. Online alone can only do so much. My guess is this partly explains the huge preference for transit oriented neighborhoods in NYC. Yes, I have the same question, but this topic was about inner and middle ring suburbs. In most suburban areas, value is very heavily driven by schools, as opposed to urban convenience, transit availability, trendiness/hipsterism, walkability, etc. that can bring other aspects of value to a center city area. If you’re one of those suburbs where schools are all you’ve got, especially in the near term, and they’re being passed over by those who can afford housing choice, what do you do? A lot of folks talk about TOD, but my guess is that most of those places don’t have that as a realistic option because their transit is weak or doesn’t exist, and in the Houston region they’re often starting from a poor street grid layout (hard to make walkable). So you go back to schools – can you get the more affluent and educated demographic that you need for revitalization to come back to places they’re so determined to pass over now? The short answer is probably not, which points out how vulnerable these communities are. But, in many cities the older suburbs do have decent street grids to build on. Lakewood, Ohio is probably a good example of that. Yes, those Lakewood-types of communities (probably developed prior to WWII I’m guessing?) may have some advantages when it comes to revitalization. They’re much rarer in the Sunbelt, however. They are rarer, but not entirely rare in many places. Atlanta, for example has a lot of pretty well designed old streetcar suburbs. About 50% of new investment in the region is in walkable areas. I am thinking about it more and you may be right. I sort of remember how things worked in the 1980’s. Schools zones were distorted to create diverse schools. The large affluent Forest Hills area was broken down with the south side integrated into a poorer Jamacia based high school and the north absorbing hispanic students from Corona. Differences between primary schools could be huge but usually evened out at the higher grades. This helps explain why zoned high school quality didn’t determine real estate prices. It probably also resulted in top students shooting for magnet schools. Now the city has no mandated zoned schools but many more magnet programs and charter schools. Magnets do allow middle class people to cherry pick neighborhoods just as private schools allow high income people to do the same. When I divorced my son was in Indy’s math science magnet. My only criteria in choosing a new home were budget/affordability, reasonable public safety profile, and within the Indianapolis Public Schools district. That actually gave me a lot of choice. Right, in large parts of NYC, neighborhoods are less divided by class and race, while schools are often more divided. People are self selecting schools like they do other products and services in a dense transit linked area. Hence the fight to keep free student Metrocards. One thought is the Gen X and Y who are moving back in with their baby boomer parents. The old house then becomes multi generational and the more people end up having to maintain an older house. The best of a bad options. I read this article with interest, as well as all of the comments, and have been thinking for several days on whether the new donut applies to Milwaukee. It does in that the downtown has been revitalized, and it now the target for nearly all of the highest value developments in the metro area. The decline of the urban core of the City of Milwaukee applies as well, in particular for the north side and far northwest side. There is a fundamental difference in geometry associated with the presence of Lake Michigan, its long-time role as an urban amenity combined with a general lack of historic industrial development along Milwaukee’s lakefront. As a consequence, the downtown was never surrounded by a ring of blight, but has always been connected to a more or less continuous band of desirable urban neighborhoods extending north and south along the lakefront. The downtown was therefore abandoned to a lesser degree than many other cities, and quicker and easier to revitalize. 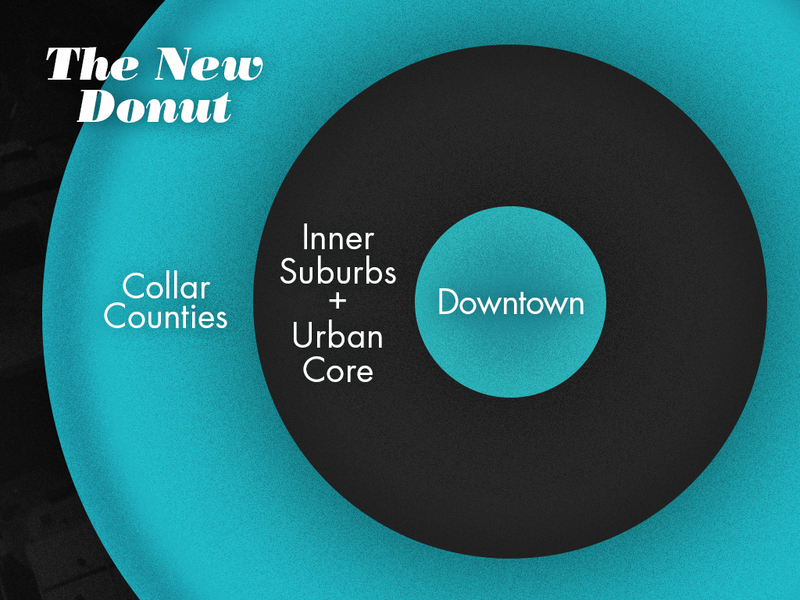 The inner ring suburbs also don’t fit with the new donut pattern. Almost without exception, all of the inner ring suburbs have been improving simultaneously with the downtown. This includes industrial suburbs such as West Allis and West Milwaukee, which faced many of the same deindustrialization challenges, as well as suburbs such as Shorewood, Whitefish Bay, Glendale and Wauwatosa, which continue to have some of the region’s highest ranked schools, and where the limited number of historic industrial properties have largely been replaced with attractive residential or mixed use development. The combination of traditional street grids and urban features, highly ranked schools, together with a 5-10 minute commute time to downtown have enabled these inner ring suburbs to remain highly desirable. The outer ring suburbs and collar counties generally seem to be holding their own as well, but less well than inner ring suburbs that offer the 5-10 minute commutes to downtown. The downtown and historic neighborhoods bordering downtown are definitely doing the best of all. I don’t know if there is a broader lesson to be learned from Milwaukee’s example, but I do see the relative slow growth of the metro area as a whole having resulted in a greater emphasis on brownfields redevelopment throughout the metro area, which is helping to simultaneously improve downtown, some urban core, inner ring and outer ring suburbs. Milwaukee sounds like Seattle. Here as well the distinction is between north and south. The neighborhoods next to or north of downtown are doing very well, with prices now past their 2008 peaks. The southern neighborhoods, which are separately by rivers and topography, are doing more poorly for several reasons. One is that they are not linked into the center city’s park system. Second, the schools are bad and most of the students are poorer Asian immigrants. Third, the road, transit and bicycle grid are interrupted by Boeing field and associated industrial areas, the freeway, the Duwamish River, and steep bluffs. One neighborhood near Lake Washington, with one of the largest parks in the region, is doing quite well. A light rail line through a valley is slowly bringing back a corridor there, but at great cost in terms of route detour and travel time to the airport. Right, filling the donut in many cities has a lot to do with adopting old industrial zones- some have which have been “obsolete” since 1920’s. Time to just grow up and let the market decide how to reuse these spaces- which may or may not include manufacturing. Neighborhoods like Homewood and Larimer in Pittsburgh are gaining investment because formerly empty or under used industrial areas are occupied by Google and other tech companies. In Atlanta, the Beltline fills the donut between downtown and streetcar suburbs. I never said it went through the “middle suburbs”, but this former industrial ring was where “the donut” started in Atlanta. 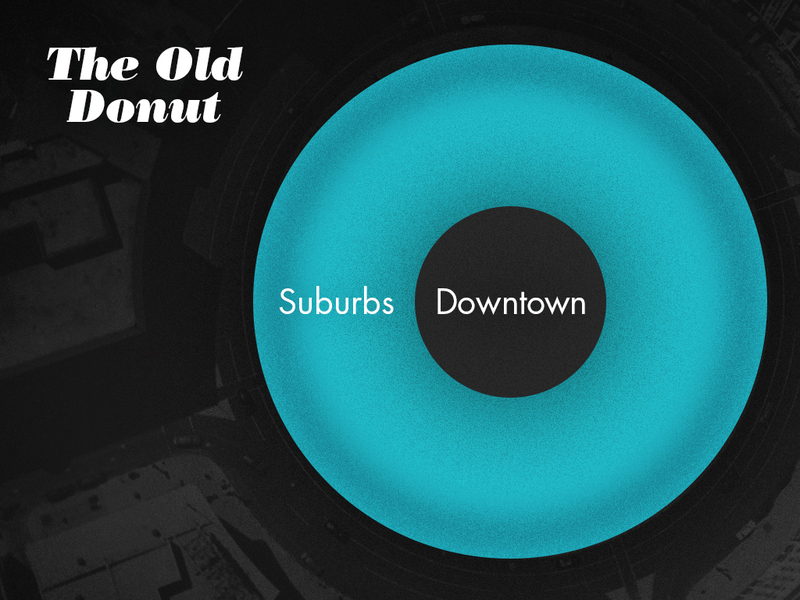 In this case, filling the donut- connects Downtown/Midtown with old and often already popular old streetcar suburbs like Virginia Highland and Inman Park. You are right- even Virginia Highland is within easy walking and biking distance of Midtown. I walked down Ponce to The High Museum when I was there. I think the confusion is that I describe places like Inman Park as “streetcar suburbs”, which they were. Of course, now they are part of the urban core. This is similar to Pittsburgh, where former streetcar “suburbs” like Shadyside, Squirrel Hill and Highland Park are now part of the urban core. Almost everywhere, we now define former streetcar suburbs as part of the urban core, owing to their pre-automotive urban form. Yes and no- usually for the same reason. Shaker Heights is clearly walkable, urban and transit oriented by normal standards and is very close to Cleveland’s core. However, since the former industrial belt never adjusted well and became a hole- it is usually considered a “suburb”. I find this study very interesting, but I’m looking for the data to be presented in terms of raw numbers of people, as well as the percentages of the nose counts. If the populations by mile are roughly the same, that has one meaning, but if they vary significantly, it could be interpreted very differently. I lived in Charlotte for five years, 2009 to 2013. I believe this theory has merit, but the uniformity that the donut shape implies is not evident there. The width of the ring of undesirability varies from 2 to 10 miles wide around most of the city, but is almost nonexistent between a wedge bordered by I-77 and US-74. Coincidentally, this pattern is repeated by the distribution by race represented in the 2010 census demographics.